One of the most recent attractions in Santa Cruz de Tenerife, the Palmetum is a botanical garden which covers 120.000 square meters and specializes in all types of palm trees. The land where Palmetum is located now used to be a rubbish dump, until the idea of transforming it into a botanical garden came up. Nowadays it showcases a great variety of spectacular vegetation, which is the result of the collaboration of numerous companies and organizations around the worlds, from Sydney to Havana and from Miami to Santo Domingo. Why should you visit Palmetum while in Tenerife? First of all, we strongly recommend you to come and visit Santa Cruz, the capital, especially if you're a repeat visitor on the island and you're looking for new places to see and things to do in Tenerife. And if you are coming to Santa Cruz, then the Palmetum is a good place to visit not only because of the beautiful vegetation, but also for the breathtaking views over the ocean, the city and Anaga Mountains. From the Palmetum you will also have a beautiful perspective of the Auditorium in Santa Cruz, the famous work of the architect Santiago Calatrava. 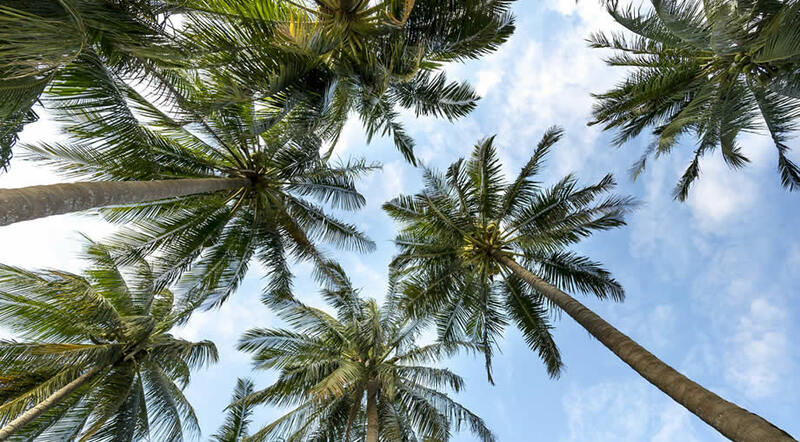 The gardens are filled with a collection of different species of palm trees, considered by some the best collection of tropical palm trees in the world. The landscape is completed with waterfalls and lagoons, which complete the design of the garden and give it its lush and tropical feel. To claim these discounts you must show the relevant documents when buying the tickets.